Printed circuit board (PCB) labels are high temperature labels for PCBs that allow for tracking of electrical components throughout the production process as well as the labelling of finished products. With PCB labelling, the label needs to withstand short term bursts of heat up to 280 degrees. To print labels for circuit boards you will need a thermal transfer printer with at least 300dpi resolution, ideally 600dpi if you are printing extremely small labels. There are specific label materials and adhesives available to withstand high temperatures up to 1000 degrees and be clearly legible throughout the product’s life. The label material will require a resin ribbon to achieve a crisp permanent print. A label applicator can also be integrated into the printing system to apply the labels directly to the circuit board. 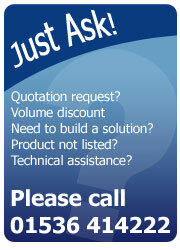 For a quote on circuit board labels or a complete system please email sales@amlabels.co.uk or call 01536 414222. You can also browse for Label Printers or Labels at our online shop.